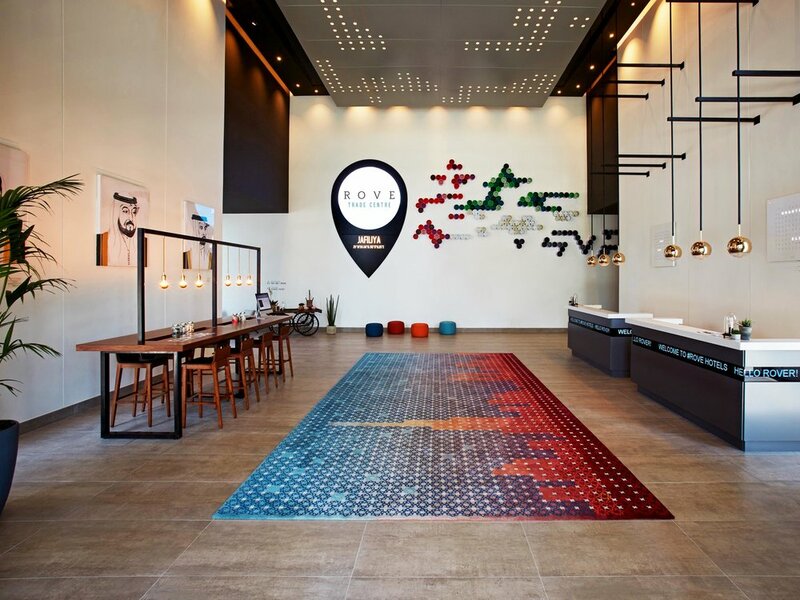 Rove Hotels is a new Dubai born-and-bred global lifestyle brand aimed at a new generation of modern travellers who believe in exploring without borders. To date Capsule Arts has worked on the first four hotels across Dubai since April 2016 as the appointed art consultant for the brand. It was paramount that the art created for the hotels would relate to both Dubai and the hotel’s local neighbourhood. As part of this, Capsule Arts worked with artists who live and work locally, and have a real understanding of Dubai. 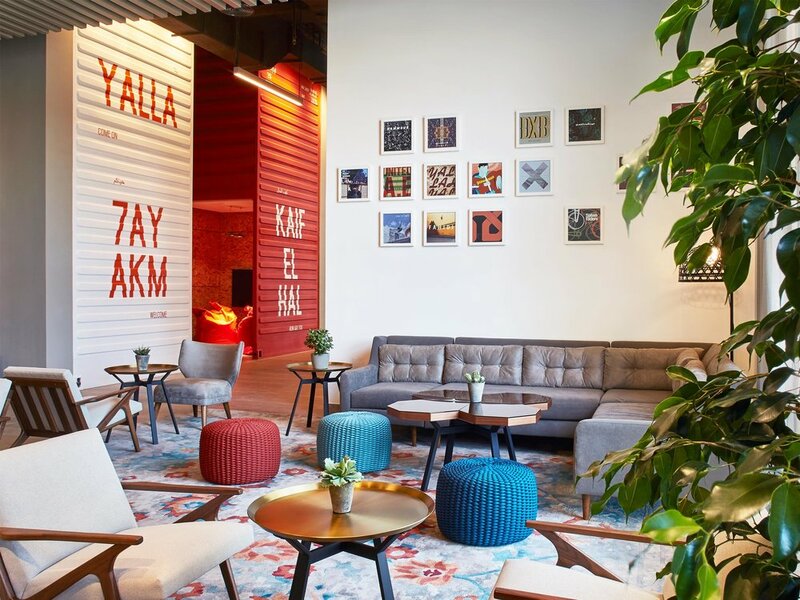 By taking this approach, the art in the hotel is a window to Dubai through the artists’ eyes, offering guests an authentic insight into this unique city. 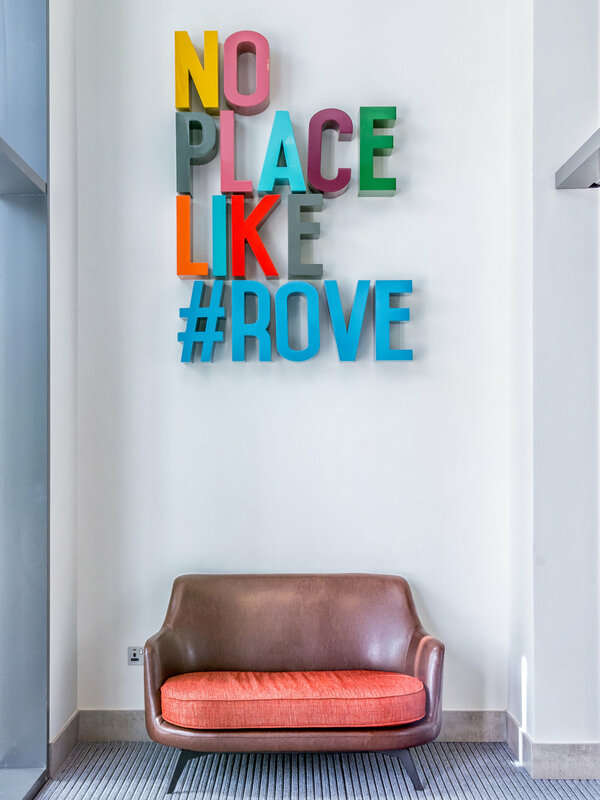 As guests enter Rove Hotels, they are greeted with a striking centrepiece installation setting the tone for the hotel’s unique artworks – playful, interactive and locally relevant. 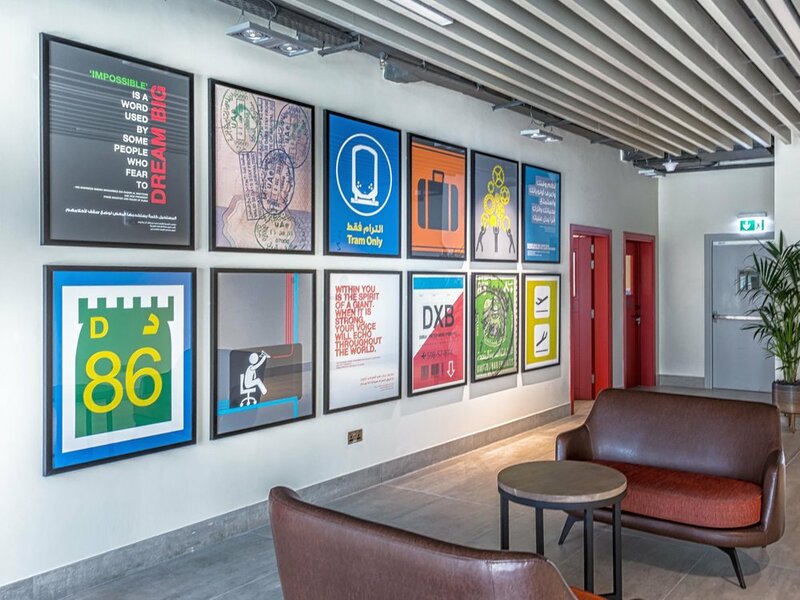 The lobby lounge is a treasure trove of art and objects, with a large wall-based installation of framed art and accessories complemented by quirky collected items, large and small-scale stencils and more throughout the hotel. Capsule Arts ongoing work with Rove Hotels has involved working with a large number of local artists across the property including APE Creative, Lama Khatib Daniel, Stephen Chambers, Khalid Mezaina, Alia Al Shamsi, Dina Sami, Mariam Abbas, Nasser Al Zayani, Mira Mortada, Salem Al-Mansoori, Aliaa Bishr, Tariq Sharif, Jalal Abuthina, Ozan Akkaya, Stephanie Neville, Rebecca Bear, Elaine Stevenson and Ban Hawamdeh. The project also included several concepts developed and executed by Capsule Arts.